AnswerFirst Answering Service at ITS 2011 : 8.31.2011, a set on Flickr. AnswerFirst is attending the Internet Technology Summit 2011 taking place today in Tampa, FL. Hundreds of technology executives, internet marketers, business strategists, entrepreneurs and more are onsite at the Tampa Convention Center. Also, Tampa Mayor, Bob Buckhorn, was in attendance and stopped by the AnswerFirst booth to chat and hang out with some of the AnswerFirst team; we managed to snap a few pictures with him. AnswerFirst is based in Tampa, FL and provides answering services, appointment scheduling, reservation taking, technical support, customer care, order entry and contact center solutions to more than 1400 businesses in many industries throughout the world. 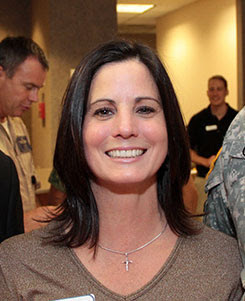 For more information about their services visit their website or contact Teri Erickson at 1-800-645-2616. AnswerFirst Help Desk Administration Rack Card Artwork (Front), a photo by AnswerFirst on Flickr. We provide call center solutions to software companies, hardware resellers, Internet service providers, hosting companies, telephone companies and many other businesses in the information technology industries. Our agents are your front-line of communication providing affordable customer service in a professional and efficient manner. At Internet Technology Summit 2011, Internet leaders from across the country will converge to discuss emerging trends, innovations and opportunities created by internet technologies. Hear from top internet experts and thought leaders on topics such as Mobile, Social Media, Cloud Computing, Gaming, Applications, TV 2.0, Analytics, E-Commerce, Search, Geolocation, Internet Security, Advertising and more. 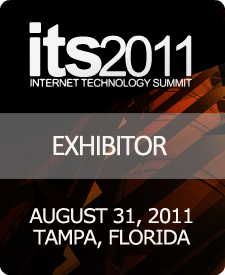 Join hundreds of technology executives, internet marketers, business strategists, entrepreneurs, developers, media and venture investors for the 3rd annual Internet Technology Summit, hosted on August 31, 2011 at the Tampa Convention Center in Tampa, Florida. Please stop by our booth and meet the AnswerFirst team. AnswerFirst Communications, a U.S. based telephone answering service and customer service solutions company specializing in answering & messaging services, contact center and virtual receptionist solutions announced this week that Teri Erickson, AnswerFirst’s Business Development Coordinator, has been accepted into the National Association of Professional Women. According to their website, the National Association of Professional Women (NAPW) is an exclusive network for professional women to interact, exchange ideas, educate and empower. NAPW members enjoy a wealth of resources, benefits, and services dedicated to enhancing their lives and promoting their businesses and careers. NAPW provides seminars, podcasts, webinars, keynote speakers, and educational tools, fostering critical skills that enable its members to achieve personal and career success. NAPW also supports and endorses a diverse syndicate of charities and nonprofit organizations focused on women’s issues and child wellness. Lanes of I-275 South in downtown Tampa reopen after crash: "A jack-knifed tanker truck that blocked the southbound lanes of Interstate 275 just south of the downtown exits this morning has been moved and all lanes now are open, officials said." The weather in Tampa, FL the past two days has been very wet. At one point, Bay Area meteorologists were tweeting that there were rainfall rates of 4" an hour in some areas. No matter what part of the United States you live in, you know that rain means traffic delays and collisions inevitably ensue. 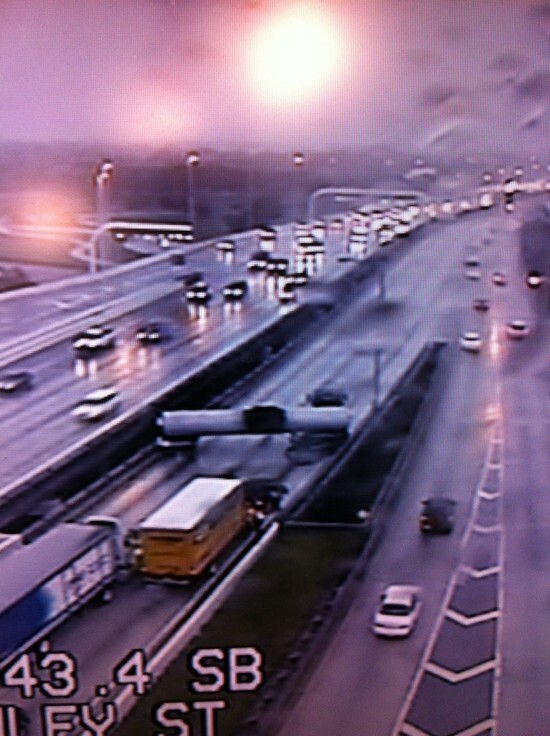 At about 8:30 this morning (during Tampa's peak rush hour) on southbound interstate 275 (the main highway leading through Central Tampa) wet roads caused a tanker to collide with another vehicle; the collision left the tanker jack-knifed across all southbound lanes of the interstate literally stopping traffic for more than 2 hours. Thousands of commuters were stuck in their vehicles waiting for the tanker to be removed from the roadway. This is the perfect example of when an answering service can benefit a business: unexpected delays on the roadways cause employees to be late for work but that doesn't stop a businesses' phones from ringing. Events like this don't happen every day and that's why a lot of businesses might not need to use an answering service every day but that's exactly why AnswerFirst's rate plan is perfect for every type of business. For only $20 per month we are there when you need us. You don't pay a dime over $20 unless we actually answer your phones and you only pay for the time you use. Maybe you will only use our services one time per year but it's that one time that can really make a difference to your clients; it won't be the last time our agents hear, "Thank God you answered!" Running a small business is challenging. Virtual Receptionist: Available when you need us (24/7/365) on all holidays and weekends; our call center is staffed with U.S. agents that are trained to take your customers’ calls in a courteous and professional manner. Messaging Services: Sometimes your callers need to speak with you even when you’re not available. Our agents take accurate and detailed messages that can be delivered to you in more than one way: fax, email, SMS text, scheduled email or fax summary and more. Call Patching & Paging: Are you expecting an important call but don’t want to answer every phone call in the meantime? Our agents will screen your calls and when your important call comes through we’ll page you or patch the call directly to your cell phone or whatever number you provide us. Appointment Scheduling: Our agents can manage and update your calendar so that your clients can schedule meetings with you in time slots that you specify. After-hours Answering Services: Our call center is always open and our agents are always ready to take your calls. Forward your phones when you’re done for the day and we’ll take care of the rest. Order Entry: Our operators can help guide your customers through your website to place orders or we can take their orders over the phone. Technical Support: Our technical support representatives will field your first-level support calls transparently, as though they work directly for your company. Our agents can be trained to answer technical questions about your product or service, log trouble tickets, issue registration keys and more. Call us today at 1-800-645-2616, or sign-up now. AnswerFirst’s live telephone answering service solutions will redefine what you expect from a telephone answering service. Vivienne Brown ( http://www.viviennebrown.com ) introduces The Law Offices of Eric T. Taylor (http://www.erictaylor.org ) an AnswerFirst answering service client. AnswerFirst is an answering service and contact center solution provider based in Tampa, FL that provides service to more than 1400 clients worldwide. Contact Teri at 1-800-645-2616, sales@answerfirst.com or visit our website at http://www.answerfirst.com (Answering Service) for more information.